Take a break from knitting fussy garments with complicated techniques. Instead, knit simple, beautiful designs with interesting details and silhouettes with Simple Style, a collection of 19 contemporary garments that celebrate stunning results without the intricate techniques. 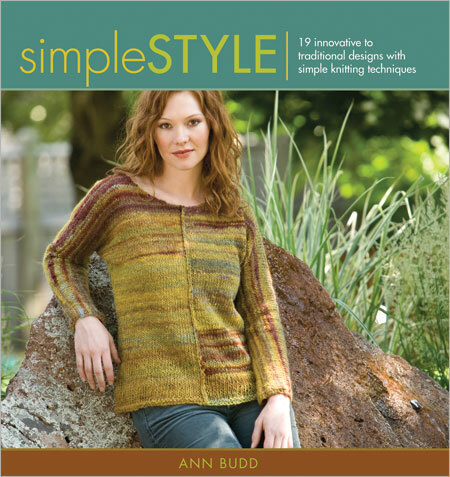 Simple Style features appealing projects from 16 renowned knitwear designers – including Pam Allen, Veronik Avery, Mags Kandis, Deborah Newton, and Vicki Square – ranging from pullovers, cardigans, vests, skirts, wraps, and more, all using simple design sensibility for maximum impact. Beautifully luscious photographs, easy-to-follow step-by-step instructions,thorough materials lists, and a Design Notebook that covers ways to maximize style while simplifying knitting and finishing techniques will all help you create stunning projects quickly and easily.